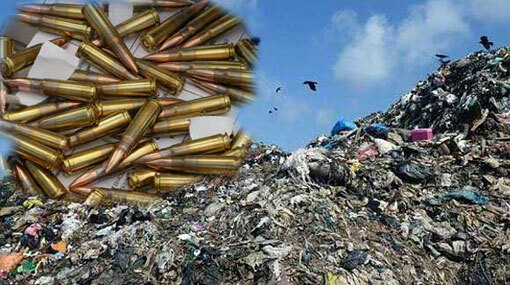 Army personnel engaged in development activities have discovered a stock of T-56 ammunition at the Meethotamulla garbage dump site, according to Police. Several army soldiers engaged in development activities in the area discovered 340 bullets near the base of the garbage dump last evening. Around 12 empty bullet shells were also found among the live ammunition. The stock of ammunition has been handed over to the police.